Nifty opened weak below previous day’s close and went under 5300 within the first hour of trade. Buying emerged from the lows but the buyers were unable to scale the previous day’s close level, to end at 5316.95, a small loss of 10.35 points. It was a flat week with a range of just 71 points, but Nifty gained 38.05 or 0.72%. The Option Table saw huge addition at 5400CE and 5100PE levels. 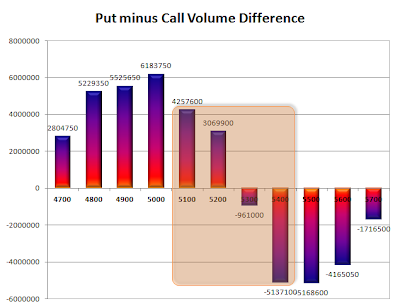 Call option 5300 & 5500-5700 added 12.7 lacs huge amount of OI, with liquidation seen at 5200 and below levels. Put Option 5200-4900 added 15.7 lacs huge amount of OI, with profit booking seen at 4700 and below levels. Highest accumulation on Call option 5400 at 67.4 lacs & 5500 at 62.2 lacs whereas Put option 5000 at 74.7 lacs & 5200 at 63.7 lacs. 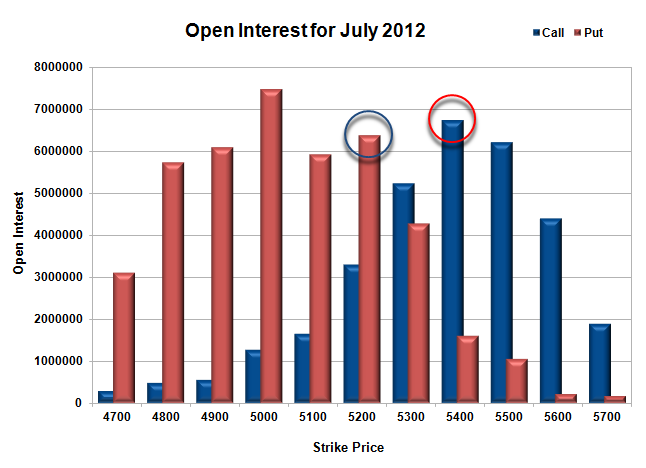 Nifty Open Interest is at 2,34,07,100 down by 3,58,750 with decrease in price, most probably long liquidation. 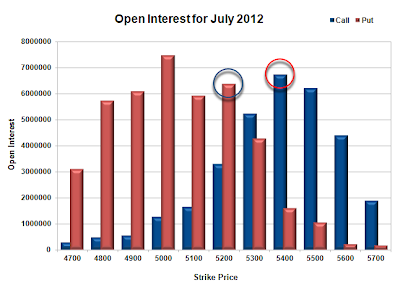 Bank Nifty Open Interest is at 29,06,425 up by 1,14,875 with increase in price, most probably long build-up. FII’s sold huge 5.93 lacs Futures, most probably short build-up with some long liquidation, their OI also increased by 1.33 lacs, and their average price per contract comes to around 5163. FII’s future open contract as on date is 5.40 lacs. PCR Open Interest (Volume) is hovering around 1.5 and now just below at 1.498. Support is at 5300 looks vulnerable but below that huge support at 5200 and below strike prices with 5000PE having the highest OI of 74.7 lacs in the Option Table. 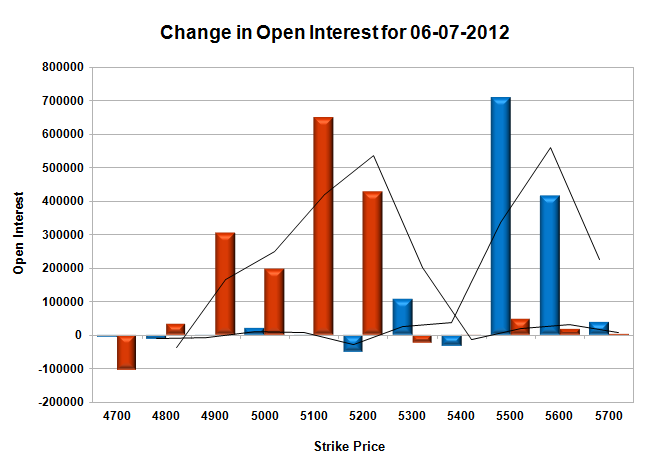 Resistance at 5400, with highest OI of 67.4 lacs and above that at 5500 with OI now above 62 lacs. Range as per Option Table is 5258 -5365 and as per VIX is 5267 - 5367 with 5300 as the Pivot.